Enjoy a Luxurious Charleston Honeymoon When You Book a Sweet Escape Romantic Getaway! Travel to a place where soul-stirring beauty is found at every turn. Take the time to relax & savor every moment. With this special package: Discover the many charms of Charleston during a private carriage ride through the Historic District, famous for its spectacular Colonial Era mansions. 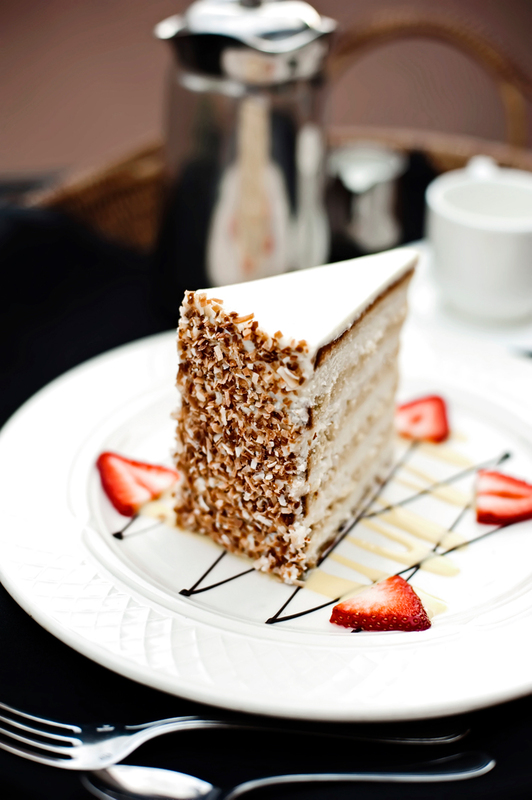 Keep the festive spirit going with a special room service delivery of Champagne and Peninsula Grill's signature 12-layer Ultimate Coconut Cake, the one of the South’s most celebrated dessert. Tuck into a spectacular four-poster king bed from the Baker Historic Charleston furniture collection and awake to enjoy a leisurely Signature Breakfast. Before you depart, you'll receive your very own plush Planters Inn Signature Teddy Bear to take home, a snuggly souvenir from your sweet escape. WANT TO RECEIVE THE LATEST NEWS FROM PLANTERS INN? SUBSCRIBE TO OUR NEWSLETTER. Please call the hotel directly if you need to book a room with ADA compliance.